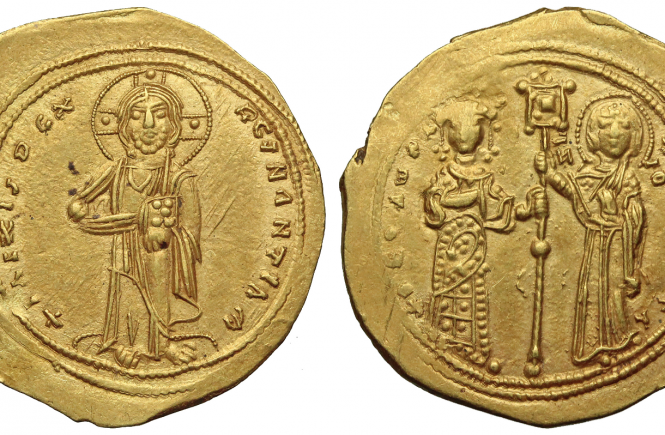 Auction Highlights – Alexander III. KINGS of MACEDON. Alexander III “The Great”. 336-323 BC. 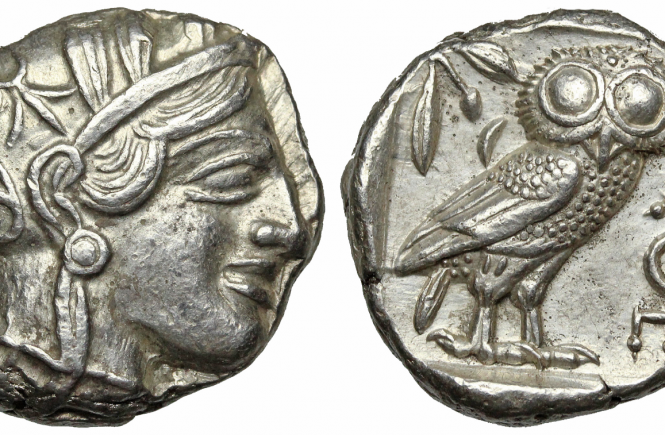 AR tetradrachm (24mm, 16.83 g, 1h). 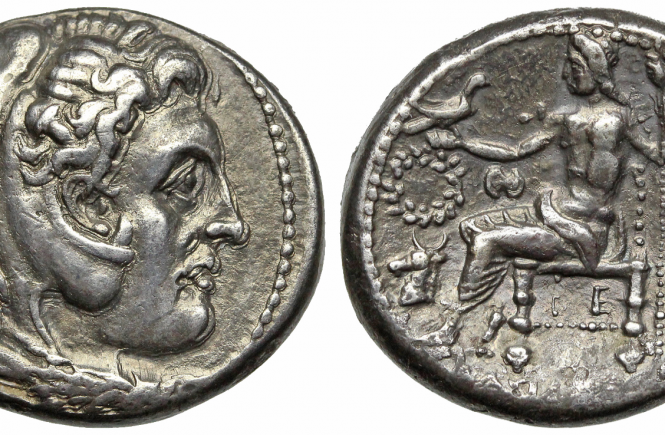 Posthumous issue of Susa, under Seleucus I Nicator, ca. 311-305 BC. Head of Heracles right, wearing lion skin headdress, paws tied before neck / AΛEΞANΔPOY-BAΣIΛEΩΣ, Zeus enthroned left, right leg drawn back, feet on stool, eagle in right hand, scepter in left; wreath Boeotia shield above horned horse head left in left field, BE above strut. Price 3865. Well struck.